This is the third of five modules to help collective impact initiatives better understand why and how to work with community members. Each module includes resources, discussion questions and interactive exercises. While the course can be taken as an individual, it is recommended that participants discuss the modules in a group, with other members of their collective impact initiative. We recommend setting aside a few hours each work week to discuss the resources and complete the exercises. We also offer questions for each resource to help guide discussion. This e-course is not intended to be seen as the final word on community engagement in collective impact, but rather a starting place for the conversation. We offer these curated resources as an introductory scan of the literature and a way for your collective impact initiative to begin developing strategies for partnering with community members more deeply. This material is meant to help you continue to develop your thinking from Module 1 and Module 2. This module has four components to complete: Reading materials, an exercise, online discussion and a post-module survey. Access these components online by scrolling down, or by downloading the “asset package,” in the right hand column of this page. The “download this document” option listed first allows you to download ONLY this overview if you prefer to reference it offline. There are “additional resources” listed in case you want to go deeper in certain areas. This module will help you think through how to create feedback loops with community members in your collective impact initiative. The reading materials offer several approaches for doing so, and help you consider what is right for your community. The exercise allows you to assess your “deeper” engagement strategies. Consider the value of feedback loops for your collective impact initiative. Become familiar with different approaches to creating feedback loops with community members. Revise the “Assessing Your Engagement Strategies” exercise from Module 1 based on what you learned from this module. This blog post from Living Cities introduces you to the concept of feedback loops, as well as approaches for creating them. Do the issues discussed in this blog post make you reconsider any assumptions you listed in the “Assessing Your Engagement Strategies” exercise from Module 1? How can your collective impact initiative create better feedback loops with the community members you seek to help? The entire resource is recommended, but pay particular attention to the frameworks presented on page 4-11 to consider at what level in your initiative feedback loops are needed. How does the range of constituent engagement approaches from input to co-creation to ownership match with the strategies you listed in the“Assessing Your Engagement Strategies” exercise from Module 1? Does anything in this reading make you reconsider any assumptions you listed in the “Assessing Your Engagement Strategies” exercise from Module 1? This reading builds on the others in this module, and in particular provides good examples of what feedback loops could look like. Do any of these examples of creating feedback loops fit with your collective impact initiative? Can these approaches be incorporated into the strategies you outlined in “Assessing Your Engagement Strategies” from Module 1? This case study from the Strive Together network illustrates how creating a robust data collection infrastructure can lead to better outcomes. It shows how data can help engage with community members and focus your work. What led to the success of P16Plus Council’s feedback loops with parents and school staff? What role does data collection and data infrastructure play in developing feedback loops? Now that you have completed three modules, go back to the from Module 1 and see what changes you and your group would make. Do you need to change your goals? Your strategies? Did you learn that some of your assumptions may be misguided? Again, use exercise as a guide for discussion with your collective impact initiative. Join the on-going conversation on the Collective Impact Forum community discussion page, which requires free registration. Join our Twitter “study hall” on Friday April 3rd at 1pm ET (10am PT; 6pm GMT) to ask your questions and share your insights. We will be joined by special guests from Feedback Labs and Keystone to help spark and moderate discussion. Use the hashtag #CEinCI to join in. Once you and our team have completed this module, please complete the Module 3 Survey, which will take about five minutes. This survey lets us know you have completed this module and gives us valuable feedback on how to improve the e-course. 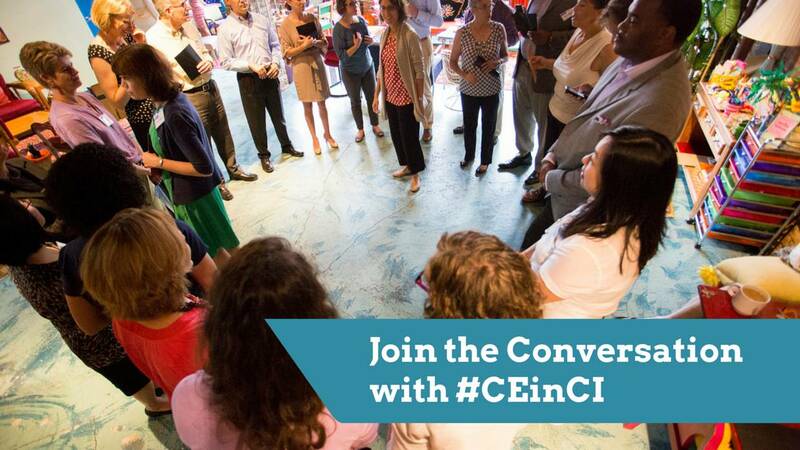 Join the conversation on community engagement in collective impact online with #CEinCI. Center for Effective Philanthropy offers resources on creating feedback loops with beneficiaries. In particular, their report “Hearing from Those We Seek to Help” provides some baseline data on how nonprofits are using feedback. Keystone’s “feedback systems” framework outlines how to design feedback loops. Keystone works with social sector organizations to improve their data collection and reporting. The Fund for Shared Insight supports nonprofits in developing feedback loops. Their webpage includes many examples of organizations using feedback loops. Constituent Feedback App Store is a searchable store of apps that will help you collect feedback from community members and other intended beneficiaries. Feedback Labs’ Feedback ToolKit includes simple tools to close the feedback loop. Contact toolkit@feedbacklabs.org for comments and questions. To subscribe to the e-course and gain additional access to supplemental resources, interactive digital discussions, a live webinar and alerts to help you and/or your team stay on track along the way, register now.